--- a bench of justices Madan B Lokur and Deepak Gupta said. The Centre, Delhi government and capital’s civic agencies once again came under fire from the Supreme Court in the sealing case today for their failure to prevent unauthorized constructions. “See...people of Delhi are suffering. You say let them suffer. That is your attitude. Children are suffering. Our lungs are already damaged. It is gone. Lungs of our children will also be damaged. Why? 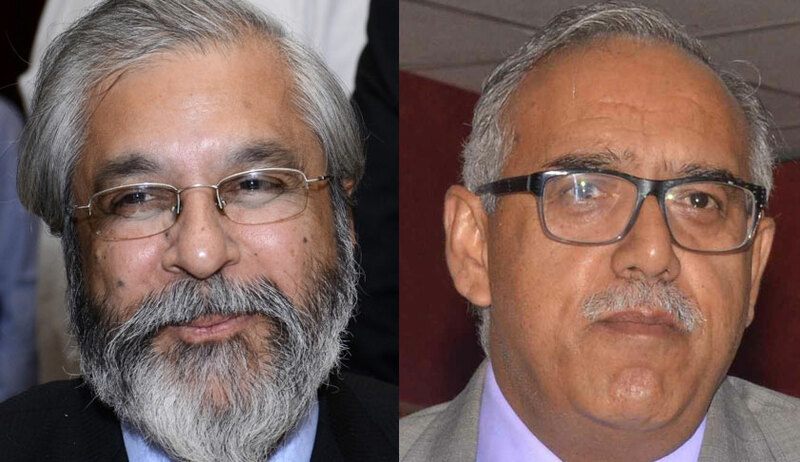 Because Union of India, Delhi government, DDA, MCDs say you can do whatever you want but we will not do anything”, bench of justices Madan B Lokur and Deepak Gupta told lawyers representing the Centre and civic agencies. The bench came down heavily on the Centre saying it was changing the Master Plan of Delhi-2021 at the drop of a hat to protect those who have committed illegalities by making unauthorised constructions. “Till the day authorities would realise that the people of Delhi were important, nothing would change. People of Delhi are not cattle ...Everybody has some respect in the society, the bench told Additional Solicitor General (ASG) A N S Nadkarni who appeared for the Centre. On April 2 the bench had slammed the Centre and other authorities over their inability to stop encroachment in Delhi. SC suggested the government to ensure that protest against sealing should stop. It further rapped the government by saying it is playing with the life of people in Delhi. The court expressed anguish over the protest against the ongoing sealing drive in the national capital and said there is a “complete breakdown” of law and order in the city. “You cannot go on destroying Delhi. There has to be some reason,” the bench told Nadkarni. On March 6 Supreme Court had put on hold any further move by Delhi Development Authority to amend Delhi Master Plan 2021 aimed to give relief to commercial establishments from sealing. The process has stayed as the bench was angry with the DDA as it had not filed an affidavit as per the court’s order on February 9. DDA later filed an affidavit giving the point by point reply to nine questions put by the bench if various assessments like environmental impact, traffic, congestion and other safety aspects were made before going ahead with the amendment. The affidavit also said that since it filed the affidavit, the stay on amendments in MPD 2021 may kindly be lifted. “It is most respectfully submitted that the proposed amendments in the MPD 2021 being statutory in nature and deserving to be carried out in accordance with the procedure/scheme of the DDA Act of 1957., have been formulated keeping in view the ground realities. It is most respectfully submitted that in compliance with the orders passed by the Supreme Court the final notification shall be made upon vacation of the order dated March 6 passed by the honorable court staying the further progress in amendment of the master plan. It is most humbly and respectfully prayed that this Honourable court may kindly be pleased to permit the completion of the further progress for the proposed amendment in the MPD-2021 as has been envisaged in the DD Act”, said the affidavit.